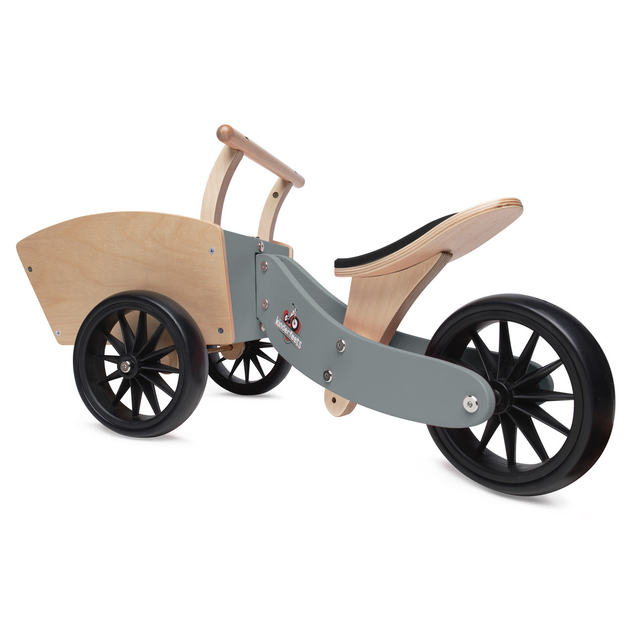 Paying homage to our Dutch roots, we created the Cargotrike for little ones aged 12-24 months. Its European design is consistent with what you would see on the beautiful streets of Amsterdam. The Cargotrike is the perfect way for tots to get comfortable on wheels before graduating to the next level. Your tot can pack the box up with toys, snacks, games, etc. and take a ride around the home! They’ll feel like a little tradesman carrying precious cargo; exactly what the original cargo bikes were intended for. The front box steers its two front wheels, teaching tots coordination, new movement and how to balance. And our “steering stop” ensures no over steering or tipping so it’s safe. Available in pink and blue, our Cargotrike is easy to assemble with all tools included.